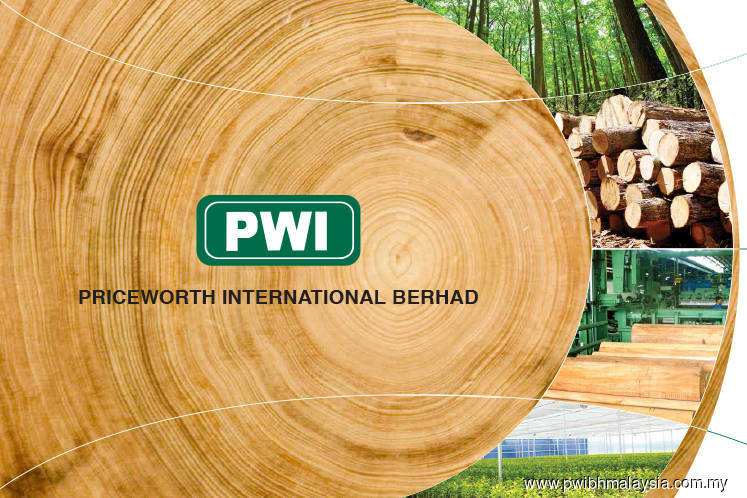 KUALA LUMPUR (Nov 20): Sandakan-based Priceworth International Bhd said the market value for Forest Management Unit No 5 (FMU5) has been raised by 15% to RM448.87 million from the previous valuation of RM390 million for the 10-year period from 2017 to 2027. The valuation is also 73% higher than the consideration of RM260 million as announced on Oct 19, 2016, it added. In a filing with Bursa Malaysia today, Priceworth said this follows a valuation undertaken by independent valuer Jurunilai & Perunding Hartanah Sabah, in view of the changes in the delineation of the Natural Forest Management (NFM) and Industrial Tree Plantation (ITP) areas under the final Third Forest Management Plan (FMP3). "The valuation is based on the income method for the NFM zone, and the comparison method counter-checked with the residual method for the ITP zone. The independent valuer took a conservative approach for the ITP zone by adopting the value based on the residual method as the final valuation," it added. FMP3 was recently approved by the Sabah Forestry Department last month, and will subsequently be replaced by fresh 10-year plans until 2097. The final valuation report is expected to be submitted to Bursa Securities by mid-December 2017, Priceworth added. In October 2016, Priceworth through its Singapore subsidiary GSR Pte Ltd proposed to acquire ADSB, which owns FMU5, from vendor Transkripsi Pintar Sdn Bhd for RM260 million. A Singapore Exchange listing is being planned for GSR, which has also proposed to acquire sister company Sinora Sdn Bhd — Priceworth's plywood manufacturing arm. At 2.54pm, Priceworth shares were unchanged at 23.5 sen, with 3.66 million shares done, bringing a market capitalisation of RM223.36 million.